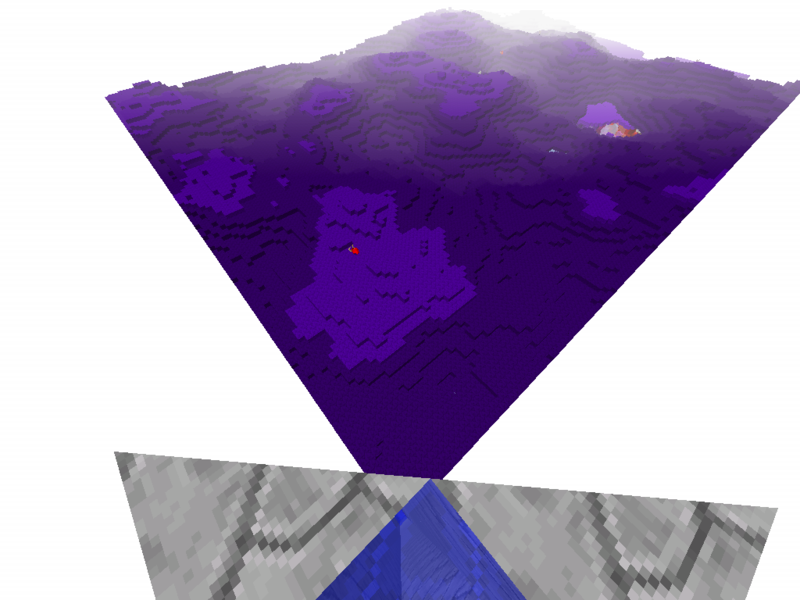 So it should be possible to expand the worlds using a manipulation tool like vuenctools or? Makes me wonder how he's storing his world data. Does the world system support theoretically infinite worlds, but he's just choosing to limit it to a specific size? I think he only limited the bounds in the "normal" terrain because he's using pregenerated terrain, but he's only limiting the bounds where you can walk. 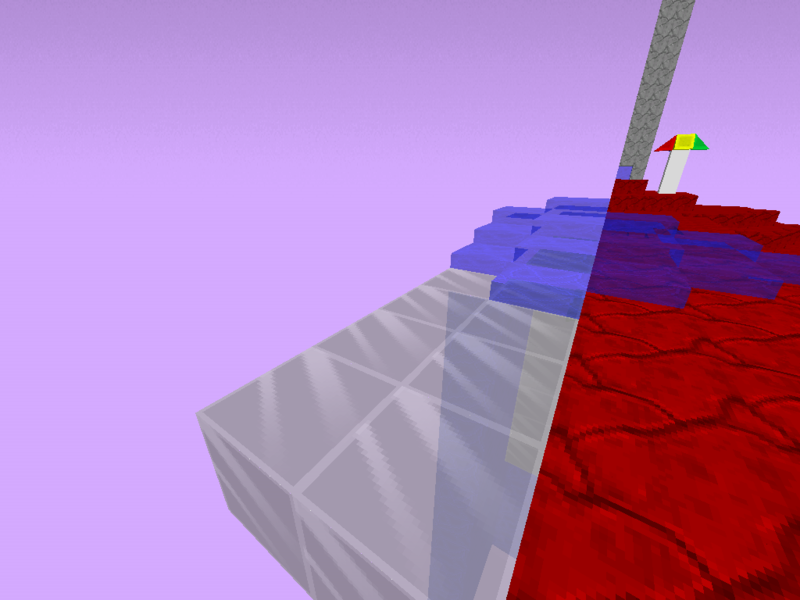 Flat worlds can still be theoretically infinite. But those pictures aren't of flat terrain, either. 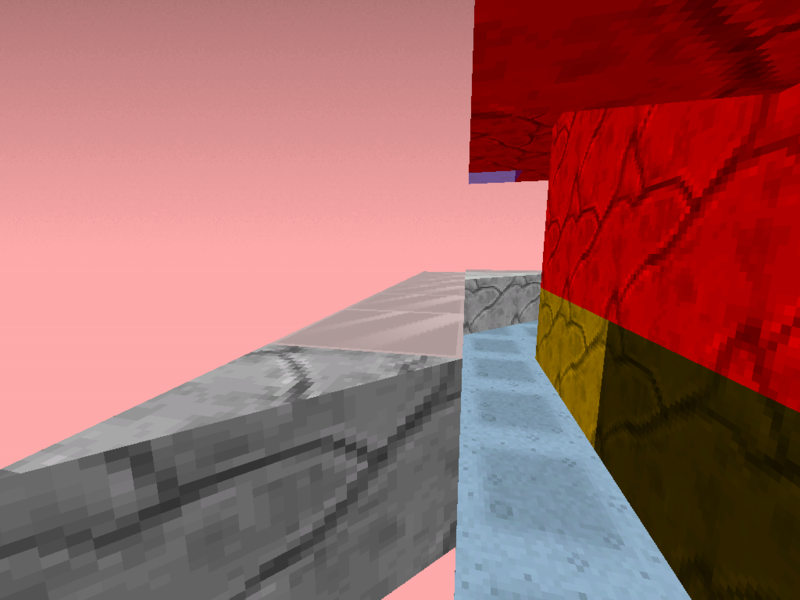 There are 180x180 chunks of 16x16x64 blocks, for a total of 2880x2880 blocks. It is run-length compressed and stored in a file called "Eden.eden" within the Eden app. It is exactly 55023840 bytes. 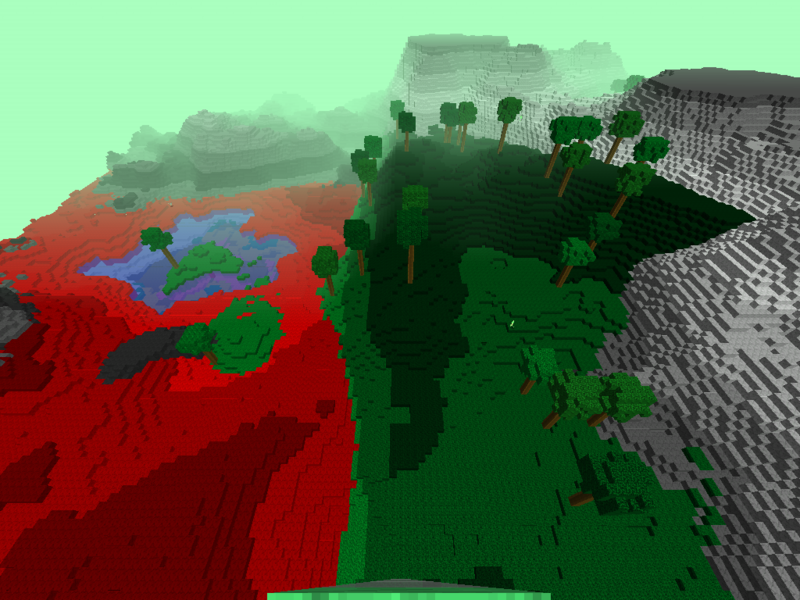 The terrain in it does not include trees or arches, which are generated on-the-fly when needed. 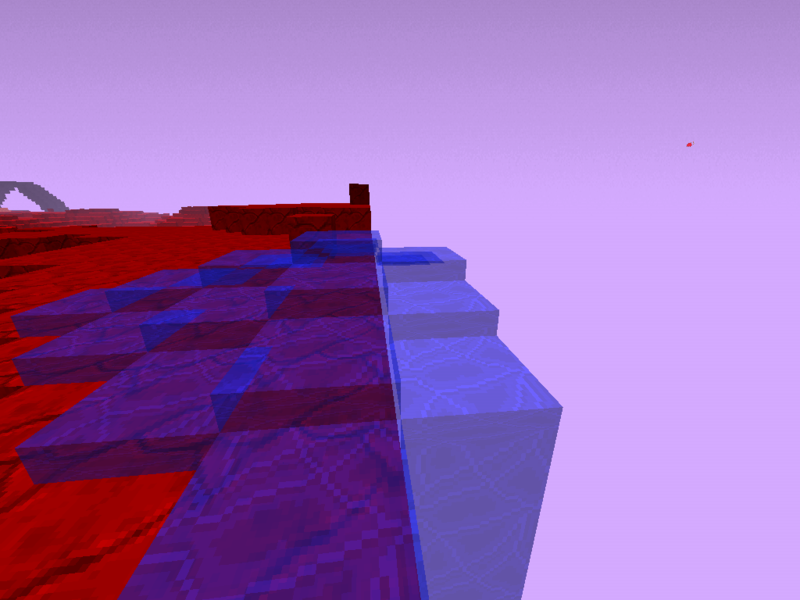 Because the terrain is pre-generated and is 2880x2880 blocks in size, Eden enforces the boundaries by putting invisible walls at those coordinates. Eden 1.7 uses something like Perlin or simplex noise. 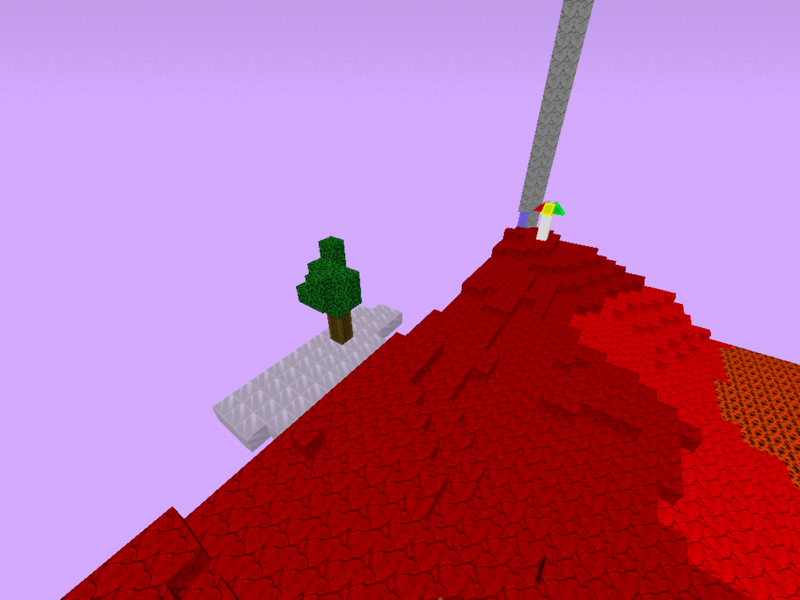 For some reason (which as far as I know, Ari has not explained), Ari decided to remove this terrain generator from Eden. We might be able to convert maps from Eden 2.0 format to Eden 1.7 format (which means just removing the portals, light blocks, doors, etc. ), then use Eden 1.7 to expand those worlds using the terrain generator, and then copy the savefile back to a device that has Eden 2.0.
but you can just barely make out the different areas of the world anyway. wait... you mean the format works without portal blocks etc? 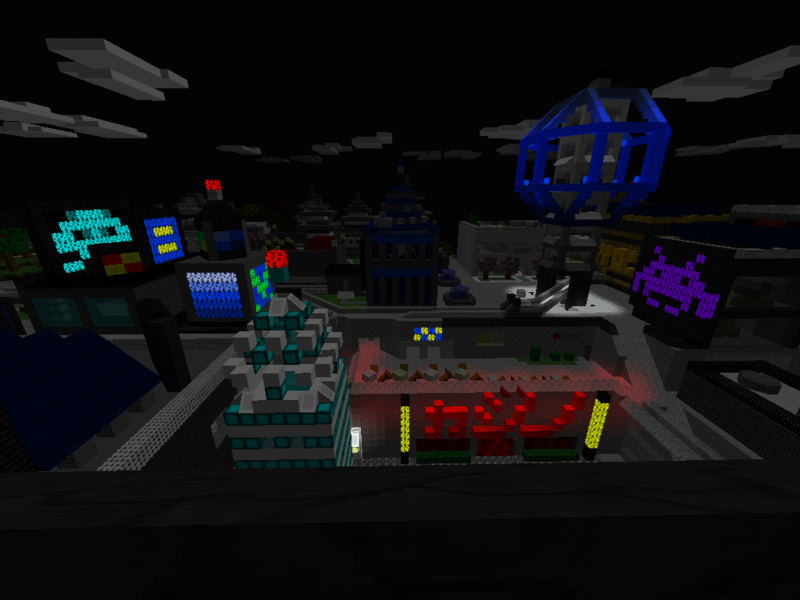 but my world uses light blocks and you made a map of it...I'm confused... maybe its just I have no idea about informatic and development .w. I think all Ari did was add a few more block types. 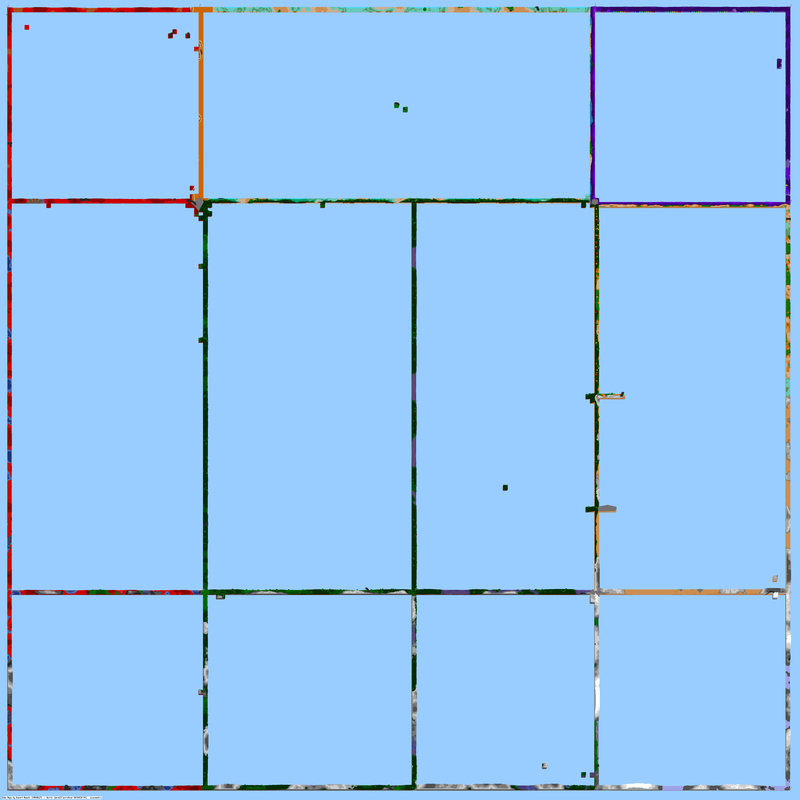 If my map program sees a block or colour that is out of range, it treats it as block type 0 (air) and colour 0 (uncoloured). 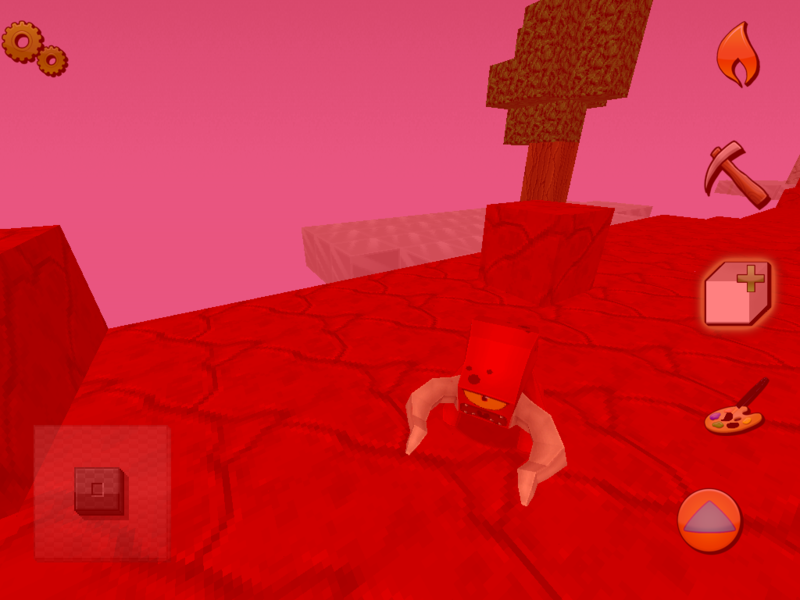 So all the new blocks are effectively invisible in my maps, right now. if you looked close enough, or if you filled a big area with doors or something, all the doors would be invisible and you'd see whatever is underneath them. I have a test world that I use to figure these things out. 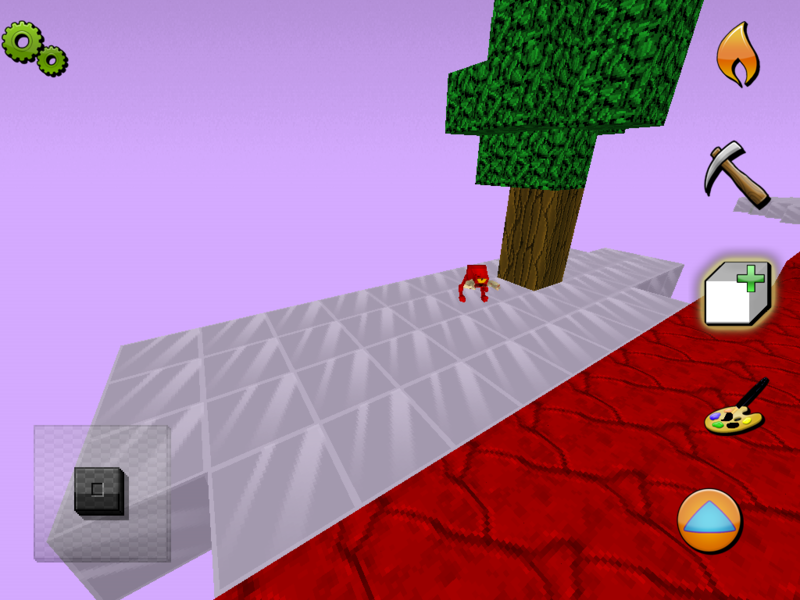 Someday I'll use it to figure out how the new blocks are encoded and add them to the g_blt table. 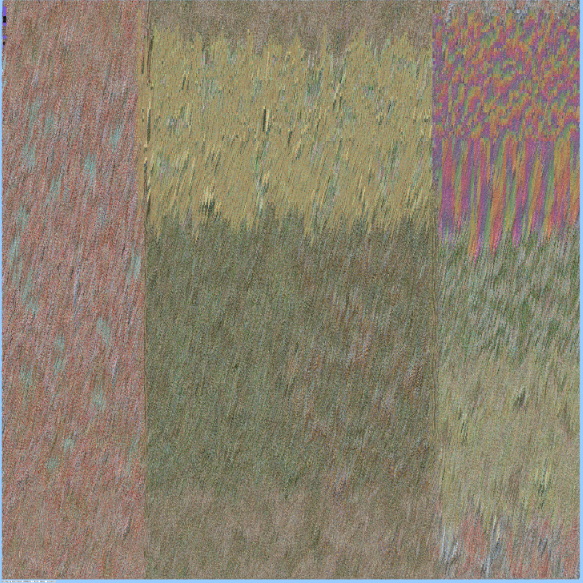 Instead of using Block 0 and colour 0 you could use something stating it's a future block, like MC Edit does. I cant remember, does Eden use a block ID system similar to the one in Minecraft? 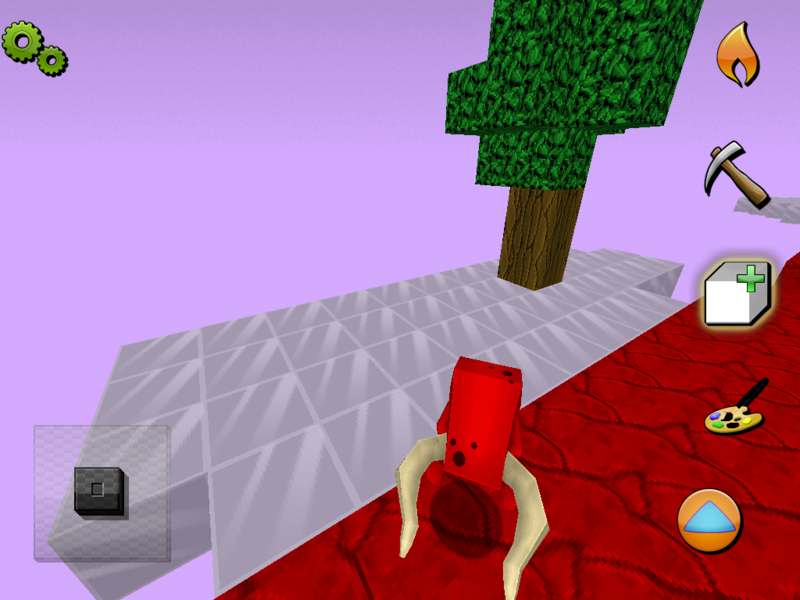 You could troll people and place treasure cubes outside of the map that are impossible to reach! When you build past the edge, does it allow to walk off it? or is there still an invisible wall after whatever block you extend? Oh yes, that's a good idea. I could have unknown block type show up in a special colour. You'd have to be able to pick your special colour too, that would need to be an option. Maybe it would be black/yellow diagonal stripes by default. @NathanielBrusch, no the invisible wall is still there. But animals can go through the wall. And they love to hang out there and wait to attack. I finished making that track all the way around the standard world. 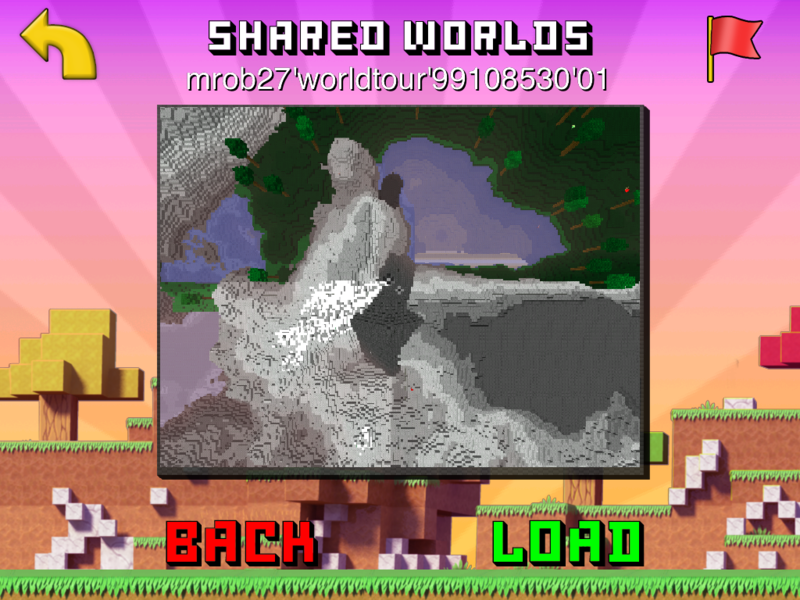 I built it at bedrock level, which takes a reaaalllly long time. 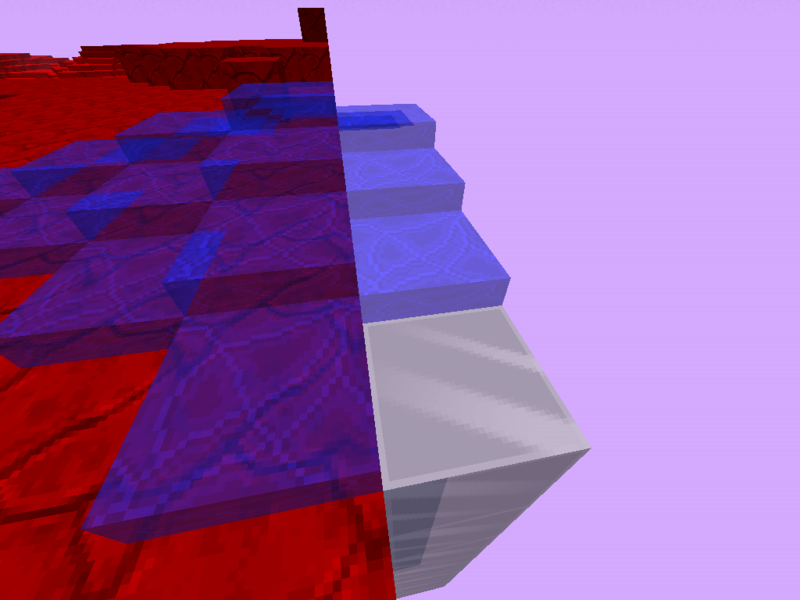 You have to dig 2880*12 = 34560 blocks, and place 2880*4 = 11520 blocks of ice. 46 thousand taps. 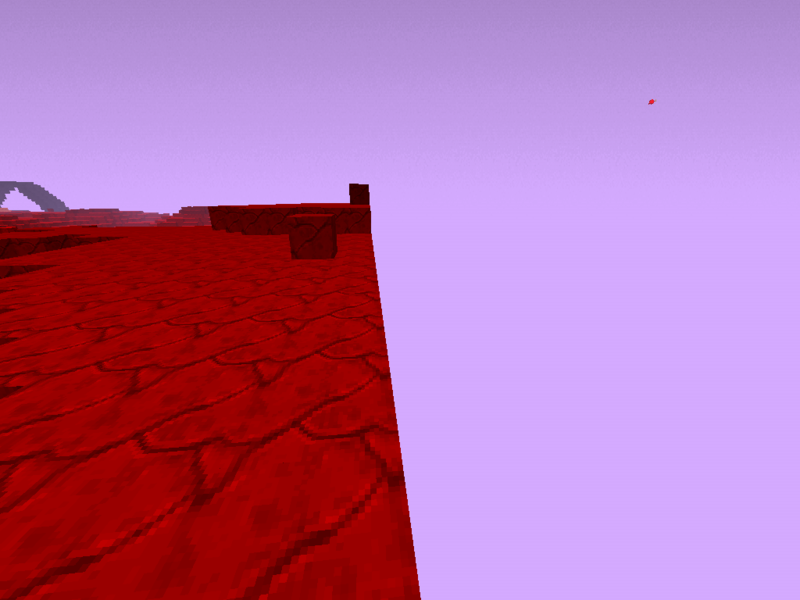 It turns out there are two places where the bedrock is one block higher. So there are a couple jumps on the track, and I had to put a ceiling above the jumps to limit the speed, otherwise it would fly way up in the air and hit the wall before reaching the turn. If I leave it running a while, it takes 11 minutes for each loop around the whole world. I built an elevator at each corner just for fun. 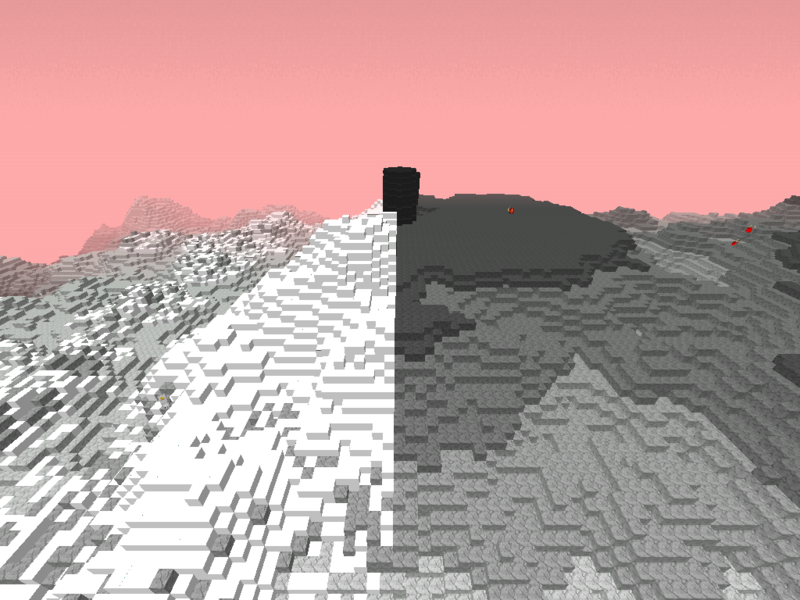 I plan to add stops at the places where two biomes meet. Here are 3 photos. Can you upload a version when you are done? Oh yeah, I'm going to! There is a transit system at bedrock level. 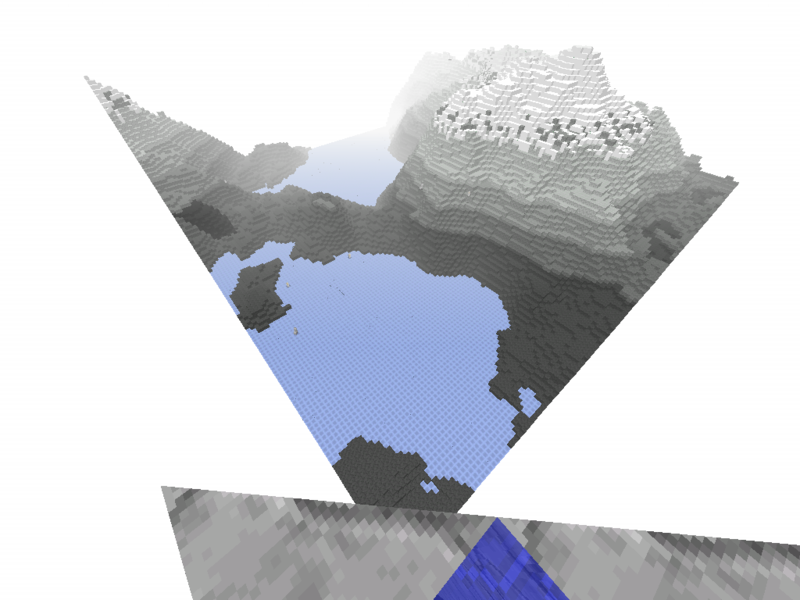 You can use it to get to all of the other biomes (I think -- I haven't finished criss-crossing all of them). The missing lines are places where I haven't finished making the tunnels. 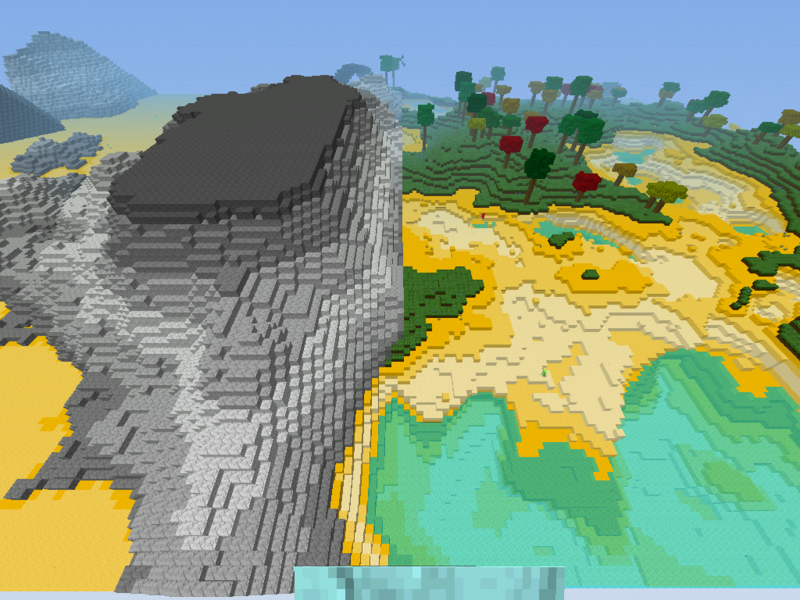 Some of the biomes have small differences. The big square in the middle is riverbeta-style forest. The right half of it has water that goes five blocks deep right up to the shore. The left half has more normal type water where it's shallow near the shore. Oh really? I'll look for it.